PARIS — Regularly named France's richest person and for years the wealthiest woman in the world thanks to her L'Oreal inheritance, Liliane Bettencourt lived her life surrounded by the scent of money, politics and more than a touch of scandal. The one-time society beauty died in Paris on Wednesday night at the age of 94, her daughter Francoise said in an email. While private to the last, she maintained close ties to three French presidents during her lifetime and was never far from the society pages, which poured over her family relations minutely. For most of her nine decades, she was better known for who she was than for what she did, even though her first job, at the age of 15, was as an apprentice in a L'Oreal factory, mixing cosmetics and labeling bottles of shampoo. The daughter of L'Oreal founder Eugene Schueller, to whom she was always close, in 1950, at the age of 28, she married Andre Bettencourt, a government minister of the 1960s and '70s under President Charles de Gaulle. During those years, neither Schueller nor Bettencourt were able to shake accusations of pro-Nazi sympathies and anti-Semitism despite their close association with Francois Mitterrand, the former socialist president. Schueller funded a World War II pro-collaboration group and Bettencourt wrote anti-Semitic tracts around the same time, although he later joined the French Resistance and said he regretted his earlier writings. Liliane inherited the L'Oreal empire when her father died in 1957 but running the company fell to Francois Dalle, another friend of Mitterrand's, who built the business into the $100 billion company it is today. Famed for its "Because you're worth it" advertising campaign, L'Oreal is France's fourth-largest listed firm. It was after her husband's death in 2007 that the heiress' own life took centre stage. She became embroiled in a public fight with her only child, Francoise Bettencourt-Meyers, when her daughter went to court to accuse photographer and socialite Francois-Marie Banier of taking advantage of her mother's frailty. Banier denied wrongdoing. The scandal widened to include prominent politicians in 2008, when Bettencourt-Meyers gave police secret recordings of conversations between her mother and her wealth manager, taped by Bettencourt's former butler. Former President Sarkozy was included in a subsequent probe into whether he exploited Bettencourt's mental frailty to fund his victorious 2007 election campaign. Although the court dropped the inquiry, "l’Affaire Bettencourt" dogged Sarkozy, who was put under investigation in 2014 on suspicion of using his influence to gain details of the probe. Sarkozy denied any wrongdoing and said the case was political. In October 2011, a court ruled that Bettencourt was suffering from a form of dementia, and awarded the daughter control over her mother's wealth and income — estimated at 17 billion euros and including about 33 percent of L'Oreal. Grandson Jean-Victor Meyers was designated to look after her health and physical well-being. 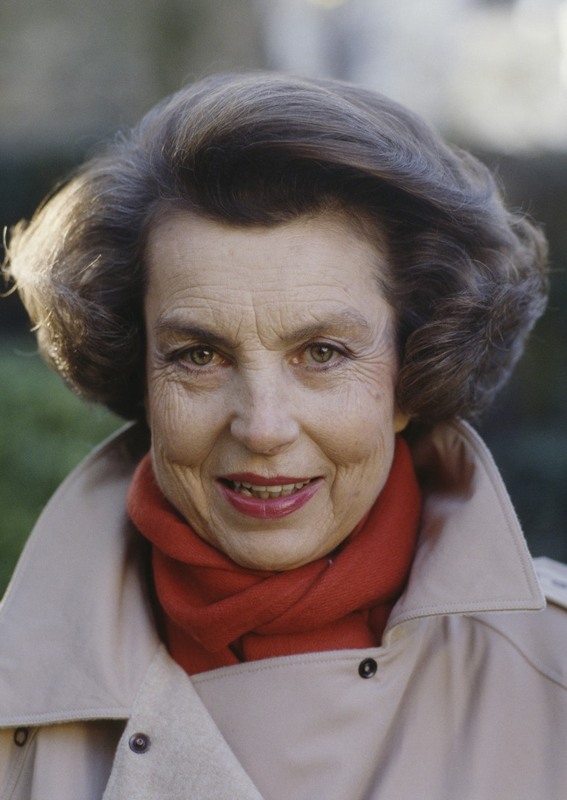 L'Oreal legend has it that Liliane Bettencourt was not much loved by her mother, and certainly she was less than enamoured with her own offspring towards the end of her life. "My daughter could have waited patiently for my death instead of doing all she can to precipitate it," Bettencourt said in a TV interview recorded in her later years.